Calling all chamber music enthusiasts! This coming Friday, January 25 at 8 pm, the Chamber Music Society of Lincoln Center will be performing at Rackham Auditorium. The program includes piano quartets by Brahms and Dvořák, as well as by composer and violinist Josef Suk. Hailing from New York City, the Chamber Music Society of Lincoln Center is known for its excellence, and I am very excited to see them perform! 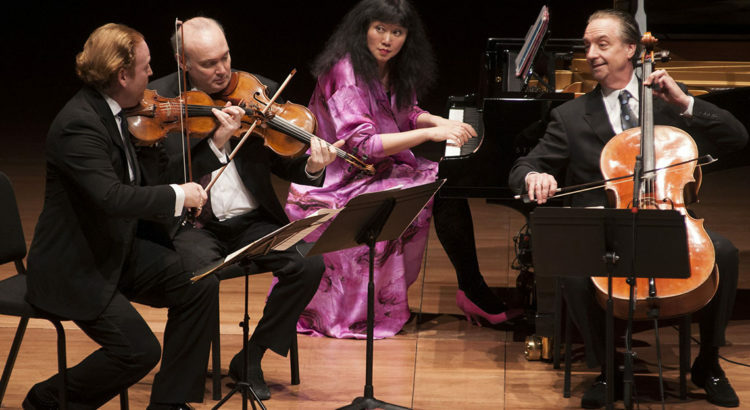 The evening’s ensemble will consist of Daniel Hope, Paul Neubauer, and Chamber Music Society of Lincoln Center artistic directors Wu Han and David Finckel. Tickets may be purchased online at the University Musical Society’s website, or at the Michigan League ticket office. As is always the case for UMS events, student tickets are just $12 or $20!